Nearly 70 years after the establishment of the modern State of Israel, its Jewish population remains united behind the idea that Israel is a homeland for the Jewish people and a necessary refuge from rising anti-Semitism around the globe. 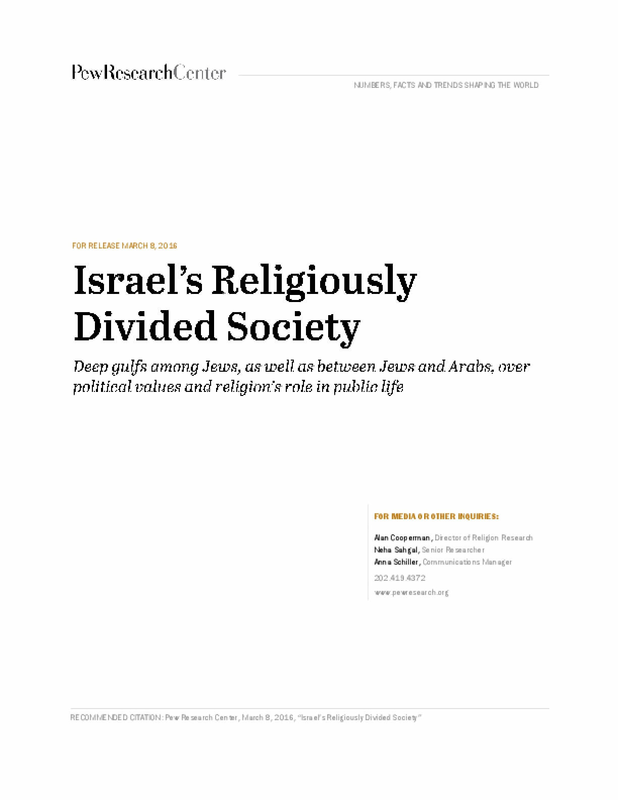 But alongside these sources of unity, a major new survey by Pew Research Center also finds deep divisions in Israeli society – not only between Israeli Jews and the country's Arab minority, but also among the religious subgroups that make up Israeli Jewry. Copyright Pew Research Center 2016.